We have a well-designed curriculum that is a mix of academics, creativity and personality development. It makes the learning enjoyable and brings out the best in children. 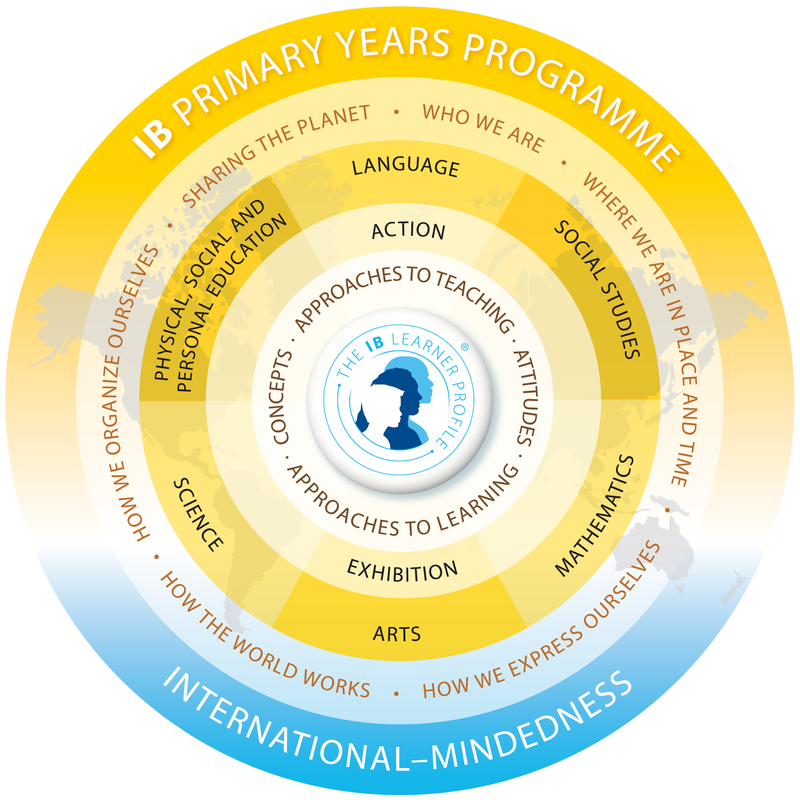 We follow the IB-PYP curriculum for Grades Nursery to V. It is an inquiry based, trans-disciplinary approach practised globally. The Primary Years Programme (PYP) is designed for students aged from three to eleven years. It is a philosophy, a curriculum framework and a methodology accredited by IBO (Geneva Switzerland). The PYP strives for a balance between the search for understanding, the acquisition of essential knowledge and skills, the development of positive attitudes and the opportunity for positive action. In terms of achieving this balance, the PYP emphasizes five components of the written curriculum. Concepts- powerful ideas which have relevance within and across the disciplines and which students must explore and re-explore in order to develop understanding.This includes Form, Function, Causation, Change, Connection, Perspective, Responsibility and Reflection. Attitudes- dispositions which are expressions of fundamental values, beliefs and feelings about learning, the environment and people. This includes Appreciation, Commitment, Confidence, Cooperation, Creativity, Curiosity, Empathy, Enthusiasm, Integrity, Respect and Tolerance. Knowledge- significant, relevant, subject matter we wish the students to explore. This includes Who we are, Where we are in place and time, How we express ourselves, How the worlds works, How we organize ourselves and Sharing the planet. Action- demonstrations of learning in responsible behaviour through positive action and service; a manifestation in practice of the other essential elements.